Meet the brilliant and compassionate individuals who make up our Executive & Advisory Boards, and are dedicated to achieving our goals. Around Christmas 2009 the idea for K9s4COPs was born after watching the news about a K9 losing his life on the job. After doing research on replacing this K9 Kristi realized there were many law enforcement agencies in dire need of K9s. Thus K9s4COP’s was created in June of 2010 and the first dogs were donated in April of 2011. Along with K9s4COPs, Kristi finds satisfaction in philanthropy, serving on the board of the Contemporary Arts Museum, Children’s Museum of Houston and a Trustee of the Houston Ballet. As an attorney in Houston, Judge Robert Eckels has enjoyed a career in public service and leadership spanning decades in the nation’s third largest county. He’s been a national leader on issues of homeland security, transportation, public finance, public private partnerships, the environment, and health care. As County Judge of Harris County, Judge Eckels built the Harris County Department of Homeland Security and Emergency Management into a model for the nation. He also built the Houston Transtar Transportation and Emergency Operations Center into a global model of interagency partnerships. The center has enabled effective response to disasters and provided training and planning to mitigate damage and loss. Judge Eckels has received numerous awards and national recognition. For his work during the hurricanes Katrina and Rita, Esquire magazine named him “Best & Brightest—Citizen of the Year” for 2005 for his exemplary leadership. “When the City of New Orleans evacuated to Houston, Harris County Judge Robert Eckels was an island of competence in the face of catastrophe,” Esquire wrote. American City and County magazine named Judge Eckels “County Leader of the Year 2006.” The National Conflict Resolution Center awarded him its National Peacemaker Award (2006) and the American Leadership Forum its Joseph Jaworski Award (2006). 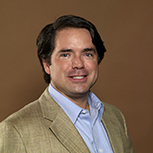 Dr. Manuel Sanchez was born in the border town of Laredo, Texas. His love of animals was nourished through family pets and occasional ranch work. At the age of 6, he declared becoming a veterinarian as his life’s dream. Moving to the Texas Hill Country in his high school years facilitated a more rural experience, with FFA and 4H playing large parts in his continued desire to become a veterinarian. Attending Texas A&M solidified his track towards Veterinary Medicine, and he finally realized that life dream by graduating from the College of Veterinary Medicine at Texas A&M in 1997. After graduation Dr. Sanchez worked in both mixed animal and small animal practices. 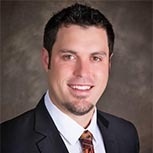 He finally purchased his own clinic in 2002 in Angleton and soon after a second practice in Freeport Texas. He is active in both local civic and veterinary associations. His passion is his family and the outdoors. Deputy Ted Dahlin has served in the Harris County Constable Office Precinct K9 Unit since June 2006. He has served in this precinct in the communications division and patrol division since October 1998. A native of Houston, Texas, and a graduate from the University of Houston Police Academy, Class 152, with academic honors in August 1998. Deputy Dahlin, who was the inspiration for K9s4COPs, attended and completed a five week training course at Vohne Lich Kennels in Denver, Indiana, with first canine partner Blek, who was a dual purpose explosive/patrol canine. He attended and completed a three week training course at World Wide Canine, in Spring Branch, Texas, with canine Louis, a narcotics/patrol canine. Deputy Dahlin currently works a single purpose narcotics canine XSARA, a gift from K9s4COPs. 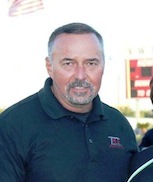 John Hoss is a native of Freeport, Texas, and has spent most of his life in and around the Gulf of Mexico. He was elected Commissioner, Position 2, of Port Freeport in June 2013. Since 1997, he has co-owned Freeport Launch, LP, which provides supplies to ships in the region and servicing the offshore oil and seismic industry. 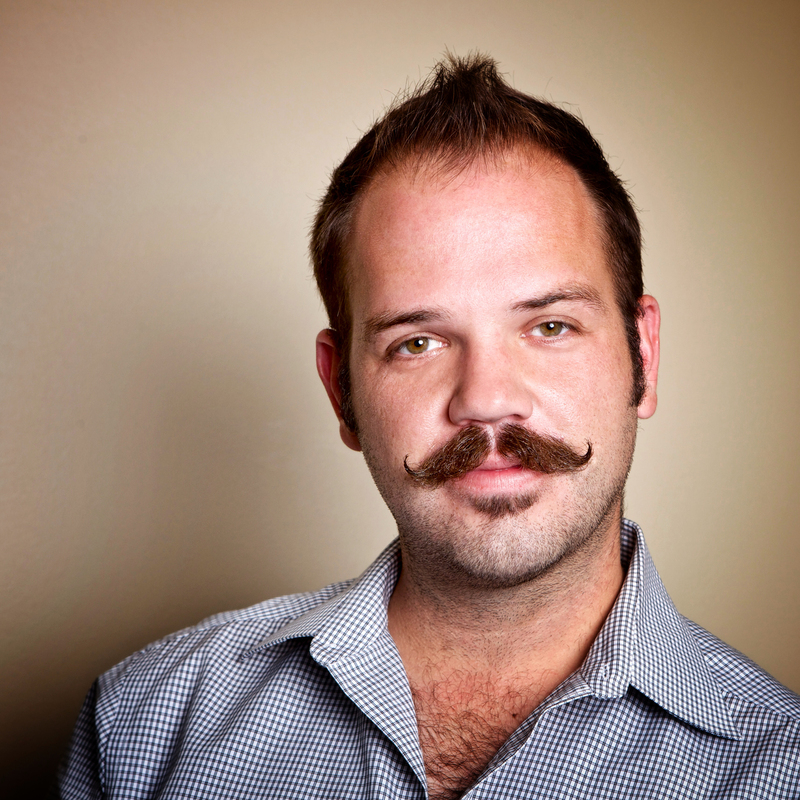 John is a graduate of Oklahoma State University, School of Fire Protection and Safety Engineering. After college, he returned to Freeport and became involved in numerous civic activities. He has held administrative positions with the Volunteer Fire Department and serves on the boards of the Brazosport Area Chamber of Commerce and the Port Freeport Economic Development Corporation. He has been an active member of the Brazosport Marine Advisory Team, a group that deals with planning emergency response activities in the Brazosport harbor area. John is also a member of the Brazoria County Chapter of Friends of the NRA. He is always accompanied by his King Shepherd, Gypsy, a regular site at the shipyard. William A. “Beau” Bisso, IV, President and CEO of Bisso Marine, is the fifth generation to lead the 123 year old family business. 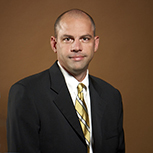 Since 1986, Mr. Bisso has served in various capacities throughout the company and has worked through every level. Mr. Bisso has expanded the capabilities and services of Bisso Marine from its historical root as an inland salvage and heavy lift services company to now include offshore construction, pipeline and saturation diving services. Mr. Bisso has also expanded the traditional footprint of Bisso Marine and its affiliates beyond the United States to now include a worldwide presence. During his tenure as President and CEO, the company’s employee base has tripled to over 400. Mr. Bisso is a graduate of Loyola University with a B.A. in History with a special emphasis in Political Science. Mr. Bisso holds several US Patents. He is a Board Member of the Fourchon Oilman’s Association and a founding Board Member of the Harris County (Texas) Sheriff’s Office Foundation. He serves as an Ambassador for Texas Children’s Hospital and participates in numerous other civic and charitable organizations. Mr. Bisso is married with two young sons and is an avid alpine hunter and adventurer having circumnavigated the globe several times, including an expedition to the North Pole. 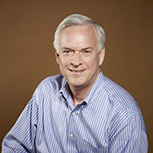 Phil Houston is a nationally recognized authority and expert on deception detection, strategic interviewing and elicitation. His 25-year career with the Central Intelligence Agency was highlighted by his service as a senior member of the Office of Security. In that capacity he conducted thousands of interviews and interrogations for the CIA and other federal agencies, both as an investigator and as a polygraph examiner, and he’s credited with developing a detection of deception methodology currently employed throughout both the U.S. intelligence and Federal Law Enforcement communities. The scope of Phil’s work covered criminal activity, personnel security and key national security issues, including both counter-intelligence and counter-terrorism. The fact that many of his interviews were conducted in foreign countries, coupled with six years of residence overseas, has given him unique insight and extensive experience in dealing with foreign cultures, particularly in the Far East. Upon his retirement, Phil was awarded the Career Intelligence Medal. 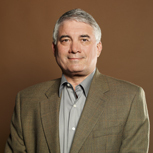 Phil introduced the detection of deception methodology to the corporate world with the co-founding of Business Intelligence Advisors, where he served as Executive Vice President and worked with the company’s largest clients in the U.S. and abroad. Phil is the co-author of the NY Times Best Selling book Spy The Lie, which details the detection of deception methodology he developed. 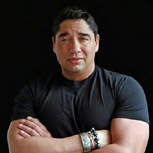 The story of his success in creating a commercial application and market for the detection of deception methodology is also featured in the recently published book, Broker, Trader, Lawyer, Spy by CNBC correspondent Eamon Javers. Phil holds a B.A. in Political Science degree from East Carolina University in Greenville, N.C.
Blake Miguez is a lifelong resident of Iberia Parish, a small business owner, world champion shooter, and Acadiana philanthropist. He has a passion for creating jobs, fighting to protect gun rights and investing in bettering our future generations. As the President of Iberia Marine Service and Miguez Fuel, he certainly understands the role of a small business owner; he learned the value of hard work at a young age from his grandfather, J.O. Neuville, the founder of Neuville Boat Works, a family owned shipyard in Iberia parish. Blake was instilled at an early age the importance of protecting hard-working Acadiana workers and providing better opportunities to enhance their futures. That is why it has been important to him to expand his small businesses from 40 employees to over 100, providing healthcare coverage to his employees and their families without the government forcing him to do so. Blake has always been a straight shooter, especially with guns. Blake grew up a competitive shooter paving the way for him to become the champion in the state of Louisiana and is the current U.S. National and World Handgun Champion. He has been featured on the History Channel’s Shooting USA, Sportmans Channel’s Hot Shots, and Pursuit Channel’s Trigger Time. As an expert on gun rights, Blake took a leading role in helping to advance and pass the Louisiana #2 Constitutional Amendment, which strengthened our right to bear arms. Blake also signed on to the Defend Louisiana Campaign and gave a voice to those in Louisiana in defense of their rights to protect their families. 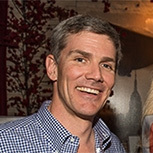 His service to the local community includes, Louisiana Association of Business and Industry; Louisiana Oil and Gas Association; the Vermilion Chamber of Commerce; the Iberia Chamber of Commerce; the St. Mary and Houston Chapters of the American Petroleum Institute; and the Young Professionals of Louisiana Gulf Coast Oil Exposition. He is also a member of St. Mary Industrial Group(SMIG). A graduate of Catholic High, Blake received a degree in Political Science from Louisiana State University and a law degree from Southern University Law Center. To further his education in the legislative process at an early age, Blake worked in the Louisiana State Senate and the Louisiana Attorney General’s office while attending his college studies. Blake has always taken an interest to Constitutional law; he is adamant on protecting our liberties and freedoms that were founded in the constitution. He is a member of St. Josephs’ in Loreauville and St. Peter’s in New Iberia and is a member of the local Knights in Columbus. As an eagle scout, Blake is a lifetime member of the NRA, the United States Practical Shooting Association and Ducks Unlimited. Ronnie Murphy was born and raised in Crowley, Louisiana. After graduating from Crowley High School he went on to attend the University of Southwestern Louisiana. Ronnie was first introduced to the oil and gas industry while working for Amoco Production Company on supply boats in the Gulf of Mexico. After Ronnie married his wife, Melba, the two soon were managing a popular steakhouse in the booming town of Houma. He then became an employee of Patterson in the fall of 1977 in the parts and inventory division and soon on to the purchasing division. In the spring of 1979, Ronnie and Melba moved to Lafayette, Louisiana where Ronnie ran Tubular Inspection Services, a new division of Patterson. Ronnie continued with Patterson companies as he was transferred to Houston, Texas in 1980 to the head operations division. In 1981, Ronnie and Melba then returned back to Houma when Ronnie was offered the position of Sales Manager over Patterson Truck Lines & Inspection Services. After leaving Patterson in 1985 after reaching his full capacity, Ronnie and family returned to Texas where he and partners, Bobby Adams and Johnny Conrad, founded ADCOM, Inc. ADCOM was the first satellite paging company, serving Texas and the Gulf Coast. Ronnie and business associate Johnny Conrad also founded Venture Transport, Inc. In 2000, Venture officially became ASCO. Ronnie has been through quite the journey in the oil and gas industry and has come a long way since he first started out after college. He was one of the founders of the Gulf Coast Oilman’s Invitational Golf Tournament, a member of the Texas Motor Transportation Association, was named Leader of the Year in 2006, and he formed the Coastal Vision Foundation in 2011. Being a native of South Louisiana, sportsman’s paradise, Ronnie loves to hunt, fish, golf and ride horses. Ronnie Murphy is a true “Cajun Boy” but as a transplant to Texas, the Tejas Vanqueros is a perfect fit. Sergeant Red is a native Houstonian who joined the Houston Police Department in 1980. After completing the Houston Police Academy he was assigned to the Central Patrol Division where he completed his Field Training. He was then assigned to the Accident Investigation Division where he worked as an Investigator until 1989 when he transferred to the Tactical Operations Division, S.W.A.T. Team, where he was assigned to an entry team. He promoted to Sergeant in 2000 and was transferred to the Jail Division then to Central Patrol. In 2002 he transferred back to the Tactical Operations Division as a Sergeant assigned to the Patrol Canine Detail. Shepherd who was trained as a patrol and cadaver detection dog, Jet his second K-9 was a German Shepherd who was trained as a patrol and explosive detection dog, his current K-9 Natan is a German Shepherd trained in patrol and narcotics detection. Doug Roller is a retired Sergeant and former Chief Trainer for the Los Angeles Police Departments elite K9 Platoon. He was a handler for 7 years and Chief Trainer for 18 years. With over 30 years combined law enforcement experience he is considered a nationally recognized expert in all facets of Police K9 disciplines. Doug has supervised and or deployed in excess of 6,500 K9 operations and captured over 400 felony suspects with his assigned canine. He has testified in both state and federal courts as a K9 expert. In 2010 Doug founded his company Tactical K9 LLC. Doug and his cadre of instructors have instructed well over 100 seminars and workshops throughout the world, including Japan and South America. 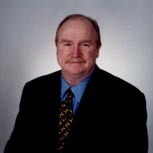 Doug is also a California Certified POST Instructor with a current AICC number. His company has contracted with all branches of the military, including Special Forces Units – providing advanced Tactical K9 Training. Bill Stanton is a recognized expert in the field of safety and security, the outcome of a stellar 25-year career in law enforcement and private security. Bill began his career as a decorated NYPD officer, and subsequently moved to the private sector, where he specialized in executive protection and investigations. Bill teamed with the legendary former New York City Police Commissioner Jack Maple to form Stanton and Maple Protection, Investigation and Crisis Management. In 2001 Bill’s success in the private sector landed him on the cover of New York magazine. 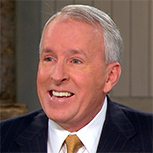 Bill is the author of the book The Anti-Terror Checklist, which was featured on Oprah. Ellen Spencer Susman has more than 25 years of experience in radio and television as a reporter, anchor, host, producer and moderator. She recently hosted and produced Balancing Your Life with Ellen Susman, an award winning television series that aired nationally on PBS. The program was groundbreaking in its mission to address the choices and challenges women face juggling career, family, marriage, and motherhood. The show was ethnically and professionally diverse and the guests offered solutions about work/life balance. BYL has won two Accolade Awards and was nominated for a Lonestar Emmy. Susman edited a memoir based on her late sister’s life as a photojournalist in the Middle East. “Danger Pay,” was published by the University of Texas, in November 2008. Since then, Ellen has presented numerous readings and held book signings in Colorado, California, New Jersey, New York, and her home state of Texas. Ellen frequently addresses women’s groups on the issues of career and family. 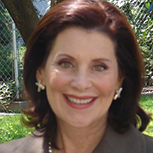 Her firm, Ellen Susman Enterprises, Inc. specializes in creating, moderating and facilitating programs and seminars for the corporate marketplace. Susman is also a regular contributor to the Huffington Post where she blogs about work/life balance, women’s issues and animal rights. Ellen currently serves on the Board of Directors for The American Leadership Forum, The Democracy Alliance, and The Texas Tribune. She also serves on The National Council of The Whitney Museum of Art, The Yale School of Forestry and Environmental Studies, The Aspen Art Museum, and The University of Houston Friends of Women’s Studies. She is a member of the Alexis de Toqueville Society of the United Way, Women in Film and Television, and The National Speakers Association. Ellen is married to attorney Stephen Susman. Sgt. Mike Thomas has served in the Harris County Sheriff’s Office K-9 Unit for 22 years. His duties include street patrol and the training of K9s for the Sheriff’s department. Because of his experience and institutional knowledge of K9s, Sgt. Thomas has been invited to serve as a judge in numerous K9 competitions. Sgt. 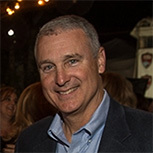 Thomas joined the K9s4COPs Advisory Board and has been instrumental in helping to create the standards of Application Review and K9 selections for various agencies. His experience has provided guidelines for other agencies around the nation in the development of their K9 departments. Sgt. Thomas joined the Harris County Sheriff’s Office in 1985. After graduating valedictorian of his class at the Harris County Sheriff’s Office Academy, he was assigned to the Patrol Bureau District 1 Substation. In 1989, Sgt. Thomas was assigned to the Hot Spot Narcotic Enforcement Team until 1991 when he started to decoy for the Canine Unit. Sgt. Thomas resides in Northwest Harris County with his wife Tami and their 4 children and K9 Tamara. Det. Rob Hart began his career with the Lexington Police Department in 1992. 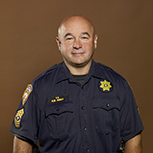 Since 1998 he has been assigned to the Special Investigations Section working in the Narcotics Enforcement Unit. During his career with the Lexington Police Department he spent 13 years with the Emergency Response Unit (SWAT). In 2004 Det. Hart initiated a Parcel Interdiction team that he still currently works with and maintains. During his career Det. 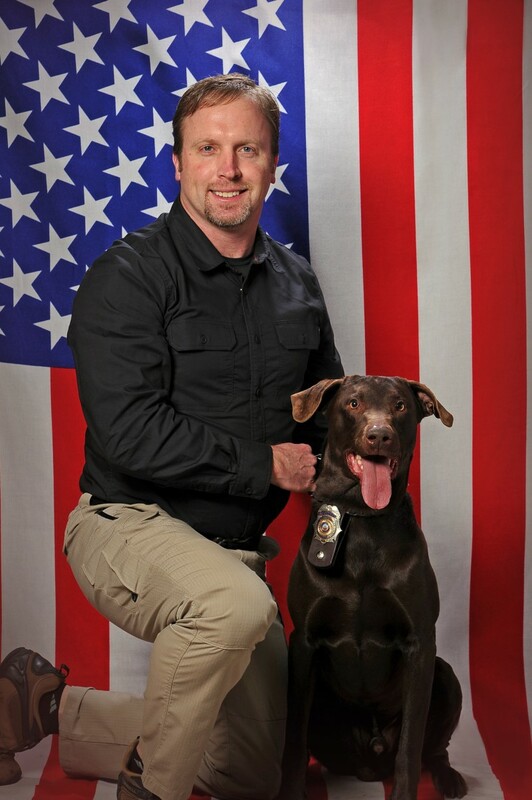 Hart added a K-9 partner “Bo” in 2012 and is still currently a USPCA certified single purpose drug detection K-9 handler. Det. Hart is a Parcel Interdiction Instructor for Kentucky’s Department of Criminal Justice Training, a Parcel Interdiction Instructor for DEA’s Operation JETWAY and a Parcel Interdiction Instructor for K9’s for Cops in Houston, Texas. Det. Hart has also spent approximately 12 years assigned to the DEA Task Force where he is currently assigned.